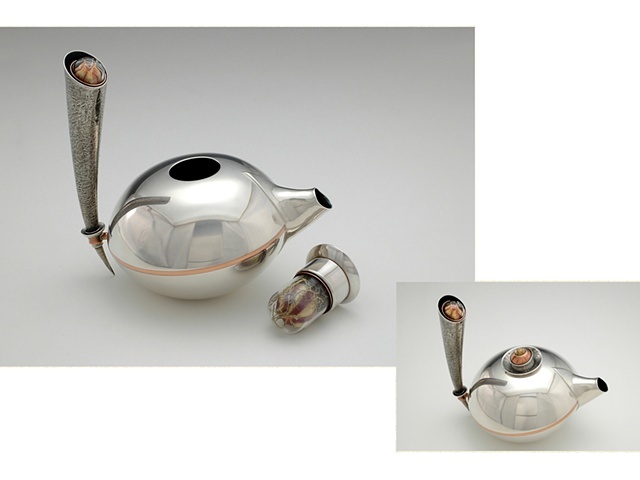 Forged, fabricated, die formed, and raised teapot. All surfaces and decisions down to the holes inside the spout were carefully considered and made as beautifully and perfectly as possible. The glass elements were treated with a sense of secrecy and discovery, especially when you remove the lid and find the large specimen beneath.